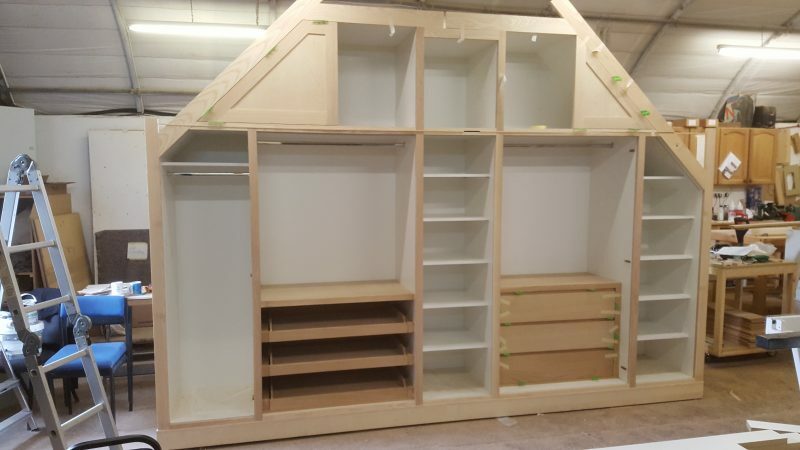 Large fitted wardrobes, shoe cabinet with adjustable shelves, all fully fitted to walls and floor. 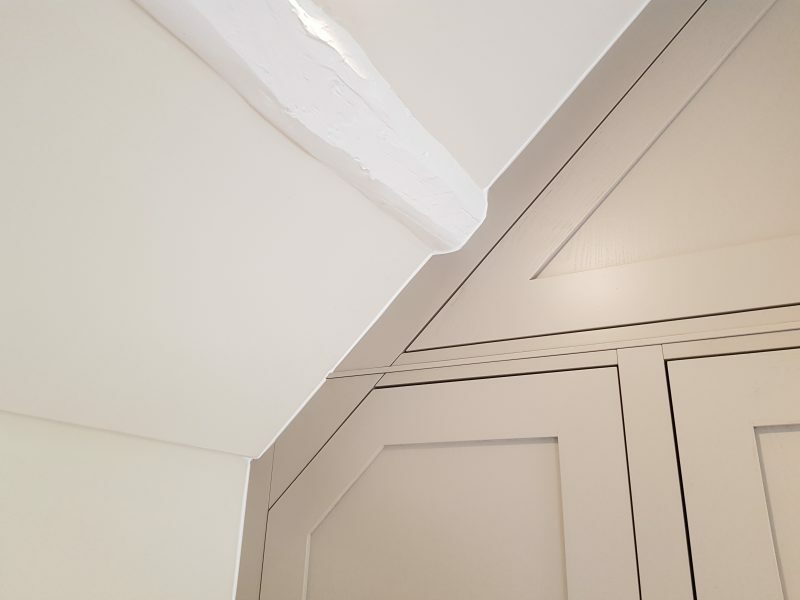 – Cabinetry matches the exact profile of the floor, wall and angled ceiling so that it fits perfectly in the space. 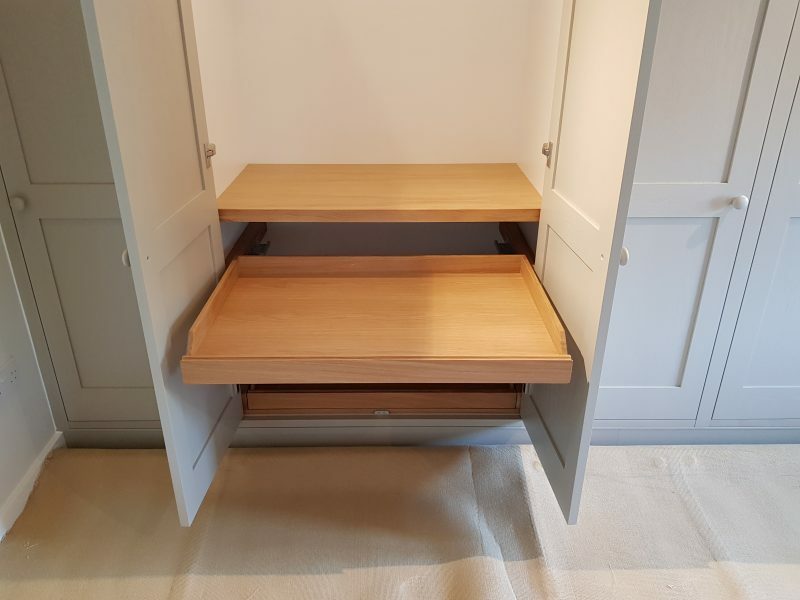 – Configuration includes long and short height hanging space, three internal shoe trays, three drawers and adjustable shelving. – Three internal shoe trays constructed in Oak which provide a warm tone to complement the interior. – Full extension soft close runners which mean that each shoe tray can fully extend making selecting and replacing shoes a breeze. 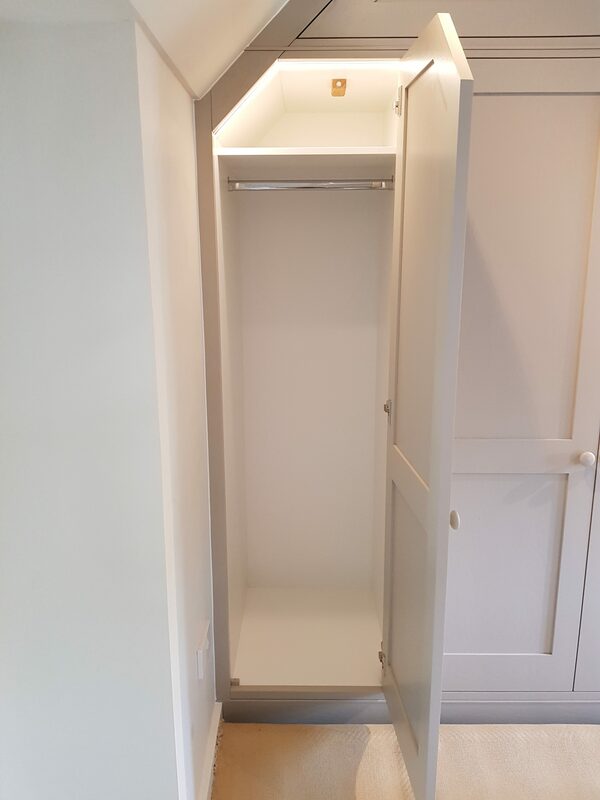 – Doors fitted with soft close hinges, adding a touch of luxury, helping to protect the doors and minimising the noise when closing. 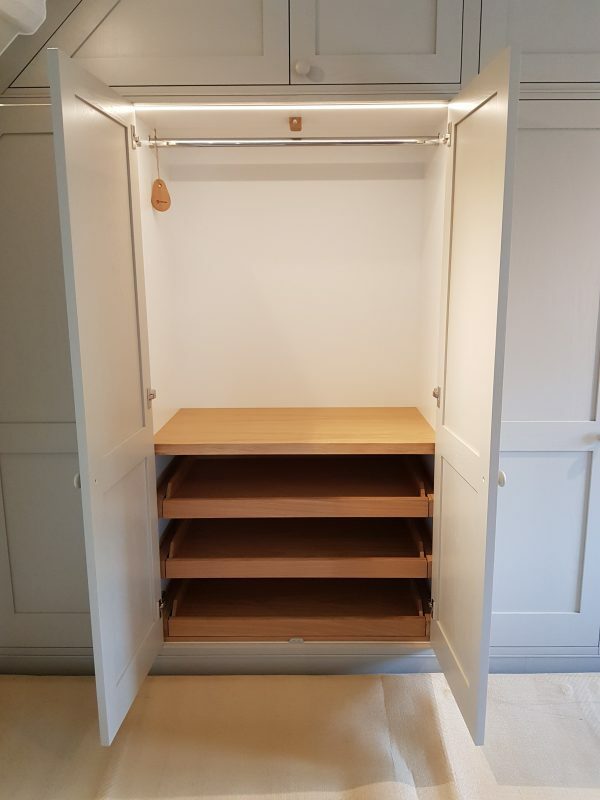 – Lower cabinets fitted with motion detecting strip lighting, providing light as the door is opened. 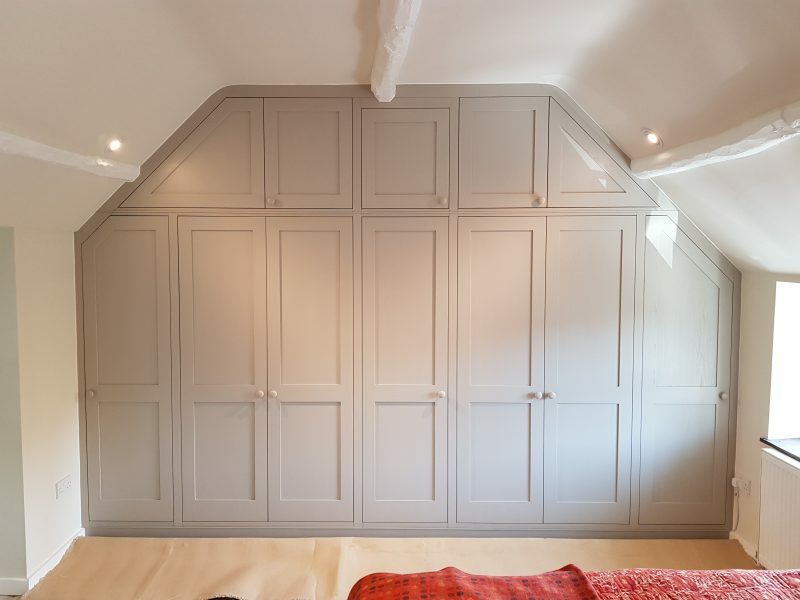 – Finished in an elegant shade of light grey (‘Farrow & Ball ‘Drop Cloth’) in a 20% sheen revealing the wood grain through the finish.